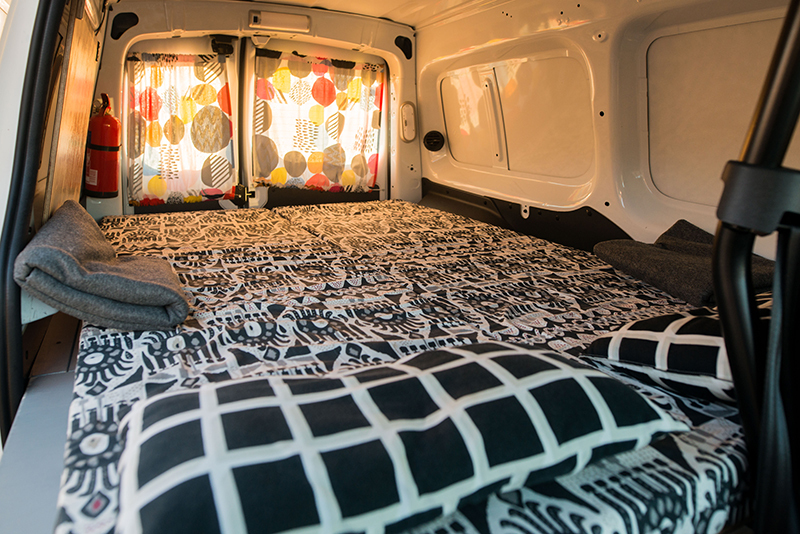 Our most popular camper in our fleet. 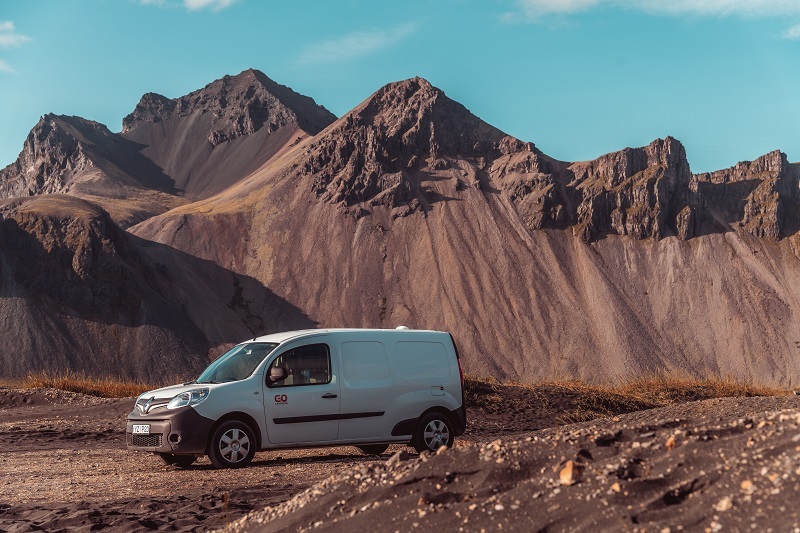 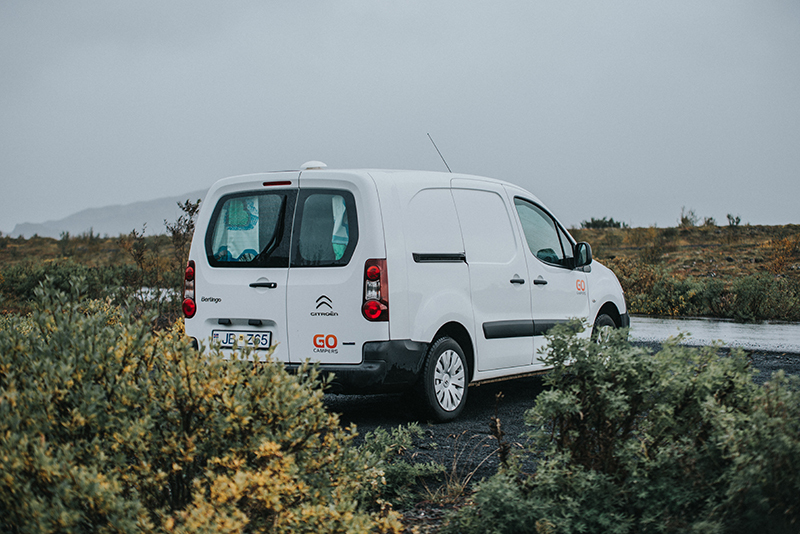 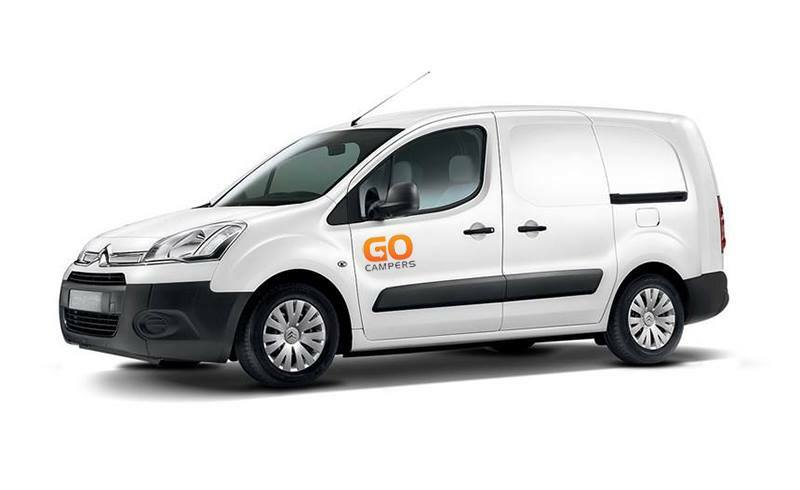 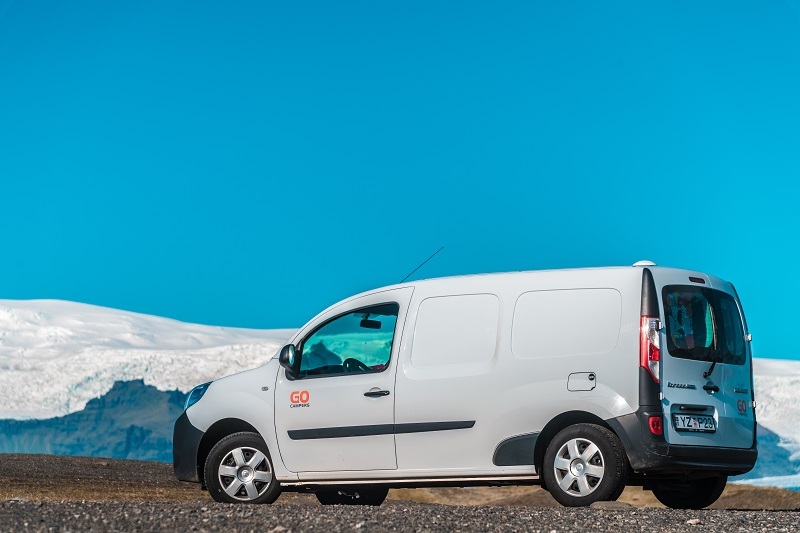 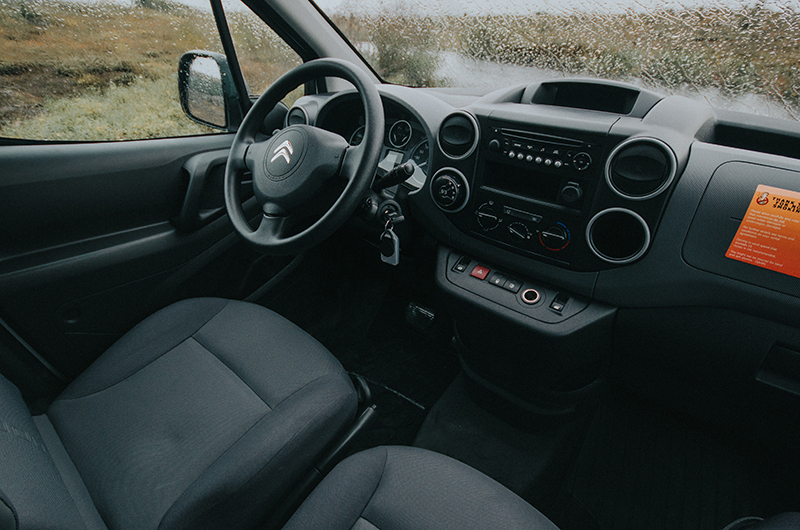 The Go Smart Automatic Camper is the perfect way for two people to travel throughout Iceland. 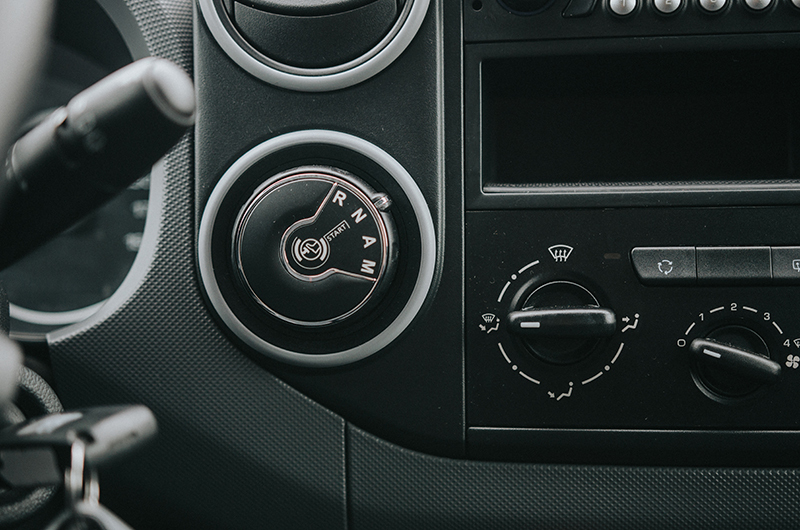 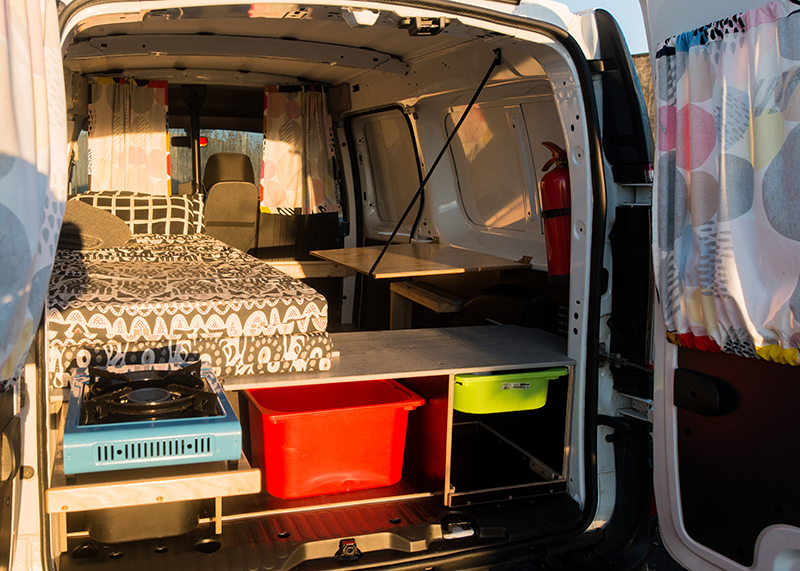 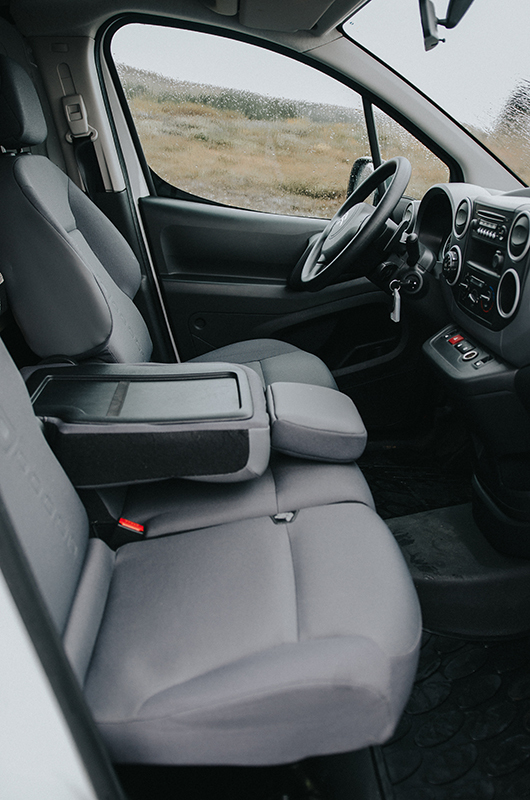 As well as having a nice and cozy sleeping area, it‘s fuel efficient and handles great. 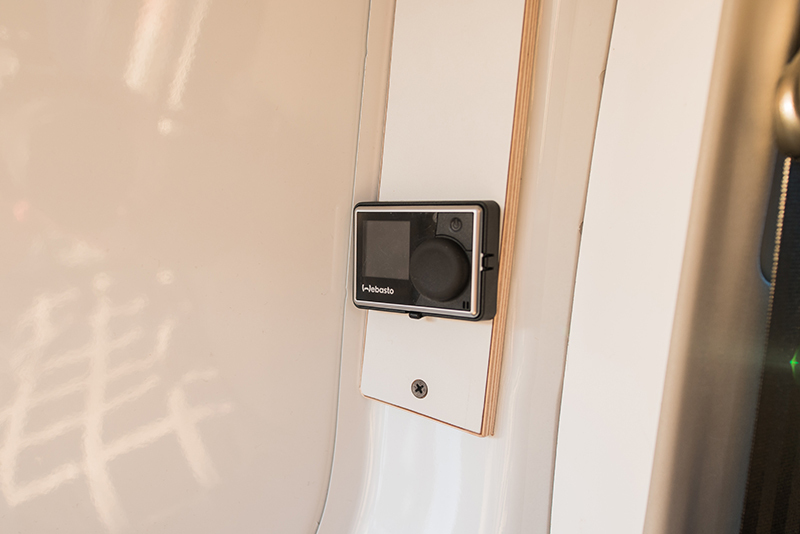 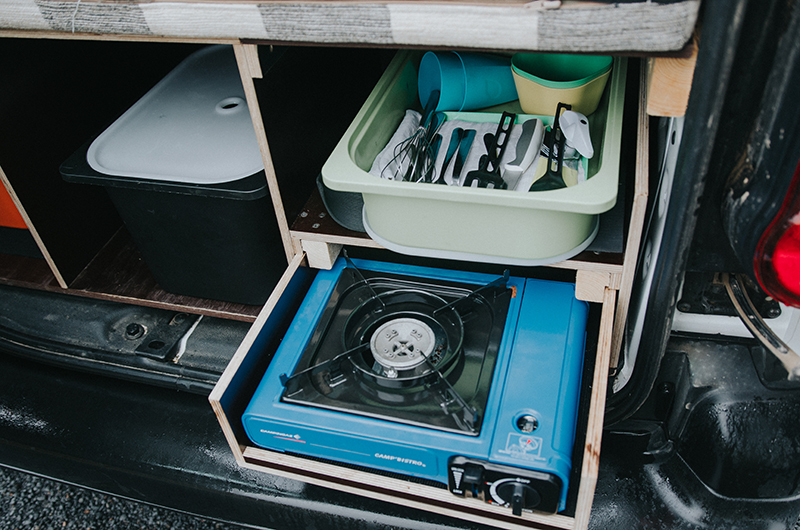 The well designed and compact storage area comes with all the cooking gear you‘ll need for your trip, as well as space to store your food. 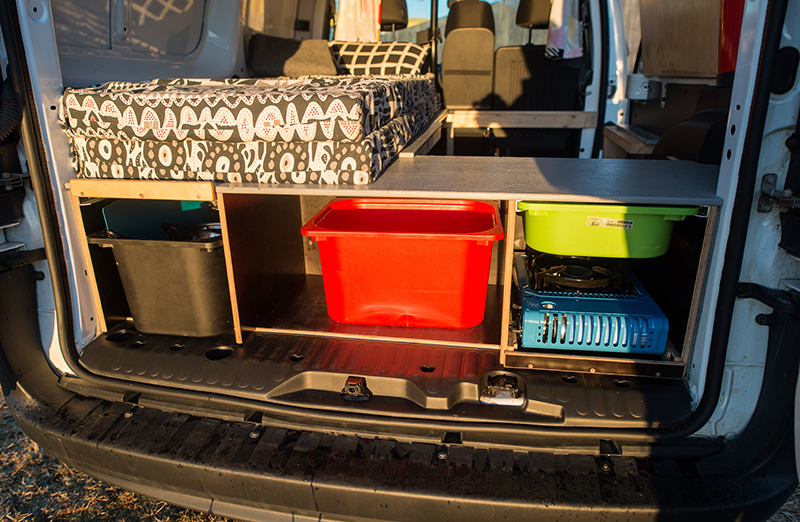 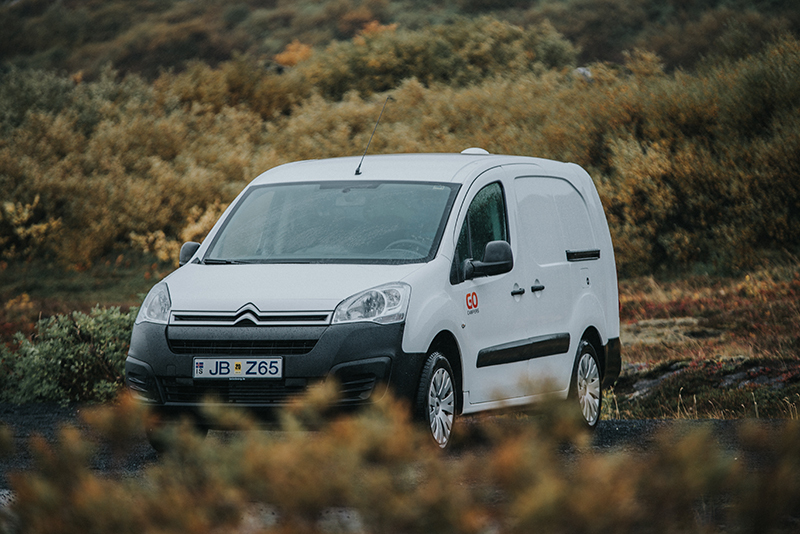 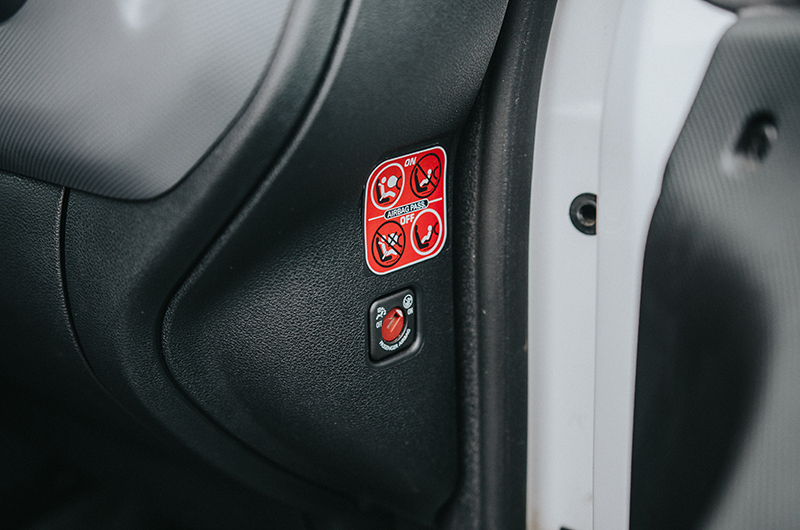 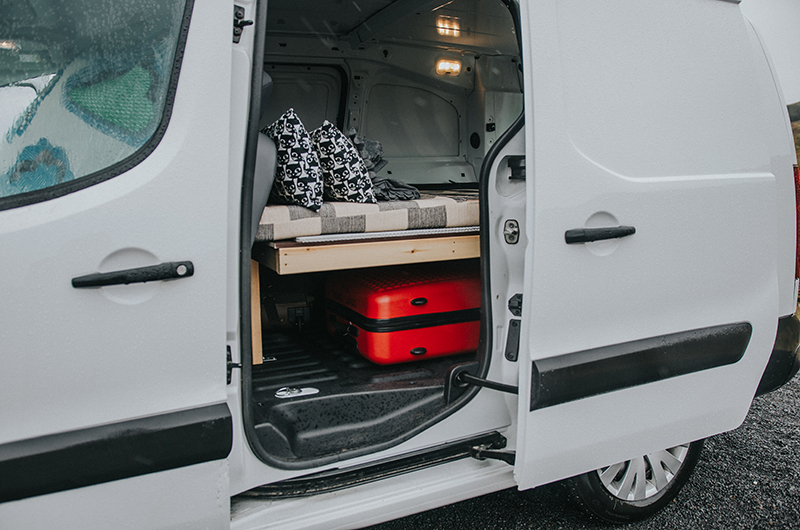 There is also extra storage for luggage underneath the bed, and the Webasto heating system will keep you warm and cozy during those chilly Icelandic nights. 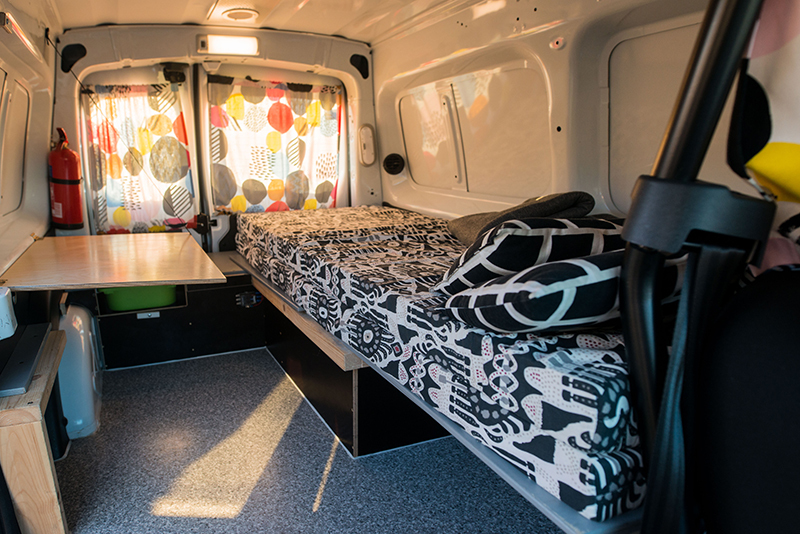 Please note that while this camper looks like it has three seats, it is only for 2-pax as there are just seatbelts for two.